Nutritional testing refers to the process of determining the nutritional content of foods and food products. As per the Food Safety and Standards (Packaging and Labeling) Regulations, 2011, notified by the FSSAI, “Nutrition claim” means any representation which states, suggests or implies that a food has particular nutritional properties which are not limited to the energy value but include protein, fat carbohydrates, vitamins and minerals. Nutrition products are more widely available than ever before, but consumers want to know exactly what is in the products that they are ingesting. Sports nutrition products, meal replacement drinks, medical formulas, vitamins, minerals and natural food supplements make up a huge market for a demanding audience. 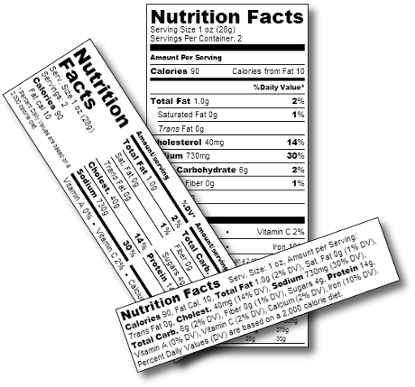 AES Labs is a total resource for a reliable and accurate nutritional testing & labeling program. Our nutritional component determinations are quick, precise and cost effective. AES Labs uses the latest published BIS and AOAC methods and is very well equipped for complete analysis of all parameters required for an effective and complete nutritional testing & labeling program. Techniques used in nutritional testing include proximate analysis using gravimetric techniques, AAS/GFAAS/ICP for mineral and elements, protein analyzers, gas chromatography for fat profiling and liquid chromatography for determination of vitamins.